Looking for a job in Barrow County Georgia? The following is a directory of Barrow County GA top employers with direct links to the jobs they offer. This directory includes local city government job links as well as the larger job boards. Barrow County's primary city for this review is Winder. Only cities that have job listing pages or verified contact listings are provided below. Borrow County frequently has job listings posted. During review there were open positions found for Deputy Chief BCFES, Park Maintenance Worker, Building Service Worker, GIS & Planning Administrator, Front Desk Clerk, Building Maintenance Technician, Heavy Equipment Operator, Senior Water Distribution Field Technician, Shift Supervisor Central Communications (E-911), Sr. Manager Utilities Operations, Communication's Officer, Park Security Attendant, and Sr. Communication's Officer. Check for current listings. The City of Winder is a good resource to check for jobs. During this survey there were open positions for Administrative Specialist II	Full Time, Captain - Criminal Investigations Commander, Cart Attendant (Part-Time), Certified Police Officer, Crew Leader - Stormwater, Police Recruit, and Utility Worker I. Visit the city's employment page for current vacancies. The City of Auburn periodically hires. On multiple review dates, positions available were Police Officer, City Planner, Public Works Director, and Part-time Custodian. The Town of Braselton periodically has jobs available. Positions found have included Public Works Inspector, Trolly Driver, and Water Operator. Check for updates. Visitors come to Fort Yargo for its wide variety of outdoor recreation and scenery. Periodically positions become available through the Department of Natural Resources DNR. 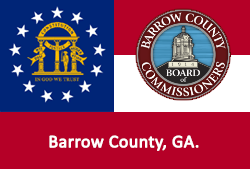 The Barrow County Chamber of Commerce is a good resource to use for exploring area businesses, economic climate, workforce information, cost of living, and more. This Worklooker directory includes Lawrenceville area employers. Worklooker's Athens-Clarke County Georgia directory includes Featured Clarke County employers. ALDI hires for positions such as store management, staff, district managers, warehouse workers, and more. ALDI is expanding operations to more than 2,000 stores by 2018. Publix is continually recognized as one of the best places in America to work. Come discover a workplace that can meet your high ideals and standards. Target has a variety of career areas to explore. If you love brightening someone's day, learn more about hourly or management careers in our stores. Piedmont Athens Regional offers a medical center with 350-plus beds, four urgent care centers and a quality network of physicians. Open positions found on various dates have included Nuclear Tech ARRT, Cardio Thoracic Surgery RN, Registered Nurse RN Nights, Cardiology Unit RN PRN, Coder, Director Risk Management, Emergency Department Registered Nurse RN, Emergency Room Ambassador, Endoscopy RN, Home Health Physical Therapist, Home Medication Information Technician, Interventional Radiology Technologist I, Medical Assistant, Certified Medical Assistant, Medical Technologist 1, Neuroscience Unit RN, Home Health Aide HHA, Home Health Occupational Therapist, Home Health Physical Therapist, Home Health RN, Speech Therapist, Social Worker, Nurse Residency RN, Patient Access Rep I, Patient Care Tech, Pharmacist, Pharmacy Technician, Phlebotomist I, Physical Therapist, Retail Pharmacy Manager, Staffing Office RN, Certified Surgical Tech, and Unit Secretary PCT. Northeast Georgia Medical Center (NGMC) Barrow is a 56-bed, not-for-profit community health system located in Winder. Northeast Georgia Medical Center Braselton is a 100-bed facility. Open positions may include jobs such as Hospice Aide CNA, Business System Analyst, IT Jobs, Cupid Analyst, EPIC OPTIME Anesthesia Analyst, Analyst HIM Records, Business Intelligence Solutions Architect I, Certified Medical Assistant Cardiology, Certified Nursing Assistant, Registered Nurse RN Jobs, Physical Therapy Assistant (PTA) PRN, Unit Assistant Med/Surg Unit, Certified Medical Assistant, Auditor RN, Behavioral Health Specialist LCSW, Patient Centered Care Management, Charge Nurse (RN) Congestive Heart Failure, Cook, Graphic Designer, Dietitian, Educator Case Manager, LPN Sign on Bonus available, Emergency Medical Technician (EMT), Network Engineer, Security Officer, Licensed Practical Nurse LPN, Case Management Jobs, Case Manager PRN, Nuclear Medicine Technologist PRN, Charge Nurse RN Hospice, Registered Nurse RN L & D Labor And Delivery Nurse Job, Armed Security Officer, Paramedic, Perfusionist, Phlebotomist I, Receptionist, Registered Nurse RN Med/Surg, Accounts Receivable Customer Service Representative, Registered Nurse (RN) Emergency Room, Registered Nurse (RN) NICU Sign on bonus available, and Neonatal ICU Nurse. Medlink Winder centers provide the community with basic primary care services. Openings available (at all locations) included Medical Assistant LPN, Medical Secretary, and LPN Certified Medical Assistant. Psychiatric Nurse Practitioner - Excellent Opportunity!!! Barrow County School System employs more than 1700 professional teachers and staff. During review there were open positions available such as Math Content Specialist, Science Teacher 9-12, SPED Interrelated Teacher All Subjects 9-12, Mathematics Teacher 9-12, Instructional Coach Title I Winder Elementary School, and Spanish Teacher 6-8. Every experience at BCA is intended to help students realize their full potential and God's purpose for their lives. BCA was currently accepting applications for qualified teachers in all disciplines preschool through high school. Foothills Education Charter High School offers a full range of high school courses in a convenient, flexible, self-paced format. Here employment opportunities found had included Disabilities Teacher, Mathematics Tutor, Paraprofessional, English Tutor, and Mentor. Lanier Technical College, a unit of the Technical College System of Georgia, serves as the foremost workforce development resource. Periodically open positions become available for faculty and support staff. Barrow County Sheriff's Office periodically hires for positions in law enforcement and corrections. The Sheriff's Office consists of over 100 employees.